This versatile precision measurement tool has many advantages over the simple mechanical micrometer of the past. When you consider that the basic mechanical micrometer is essentially unchanged since the 1700’s, it is time to upgrade! Availability of speedy spindles, which can be up to 20 times faster than the conventional mechanical style. 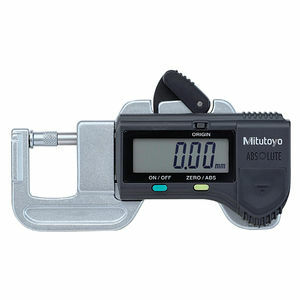 Precision digital micrometers, such as the Mitutoyo MDH series 293 are high accuracy sub-micron tools that enable measurements in the .000005” range. The use of a micrometer stand and heat shield further ensure that the measurement is proceeding normally. Many production lines or inspection departments use custom digital micrometer set-ups for their unique requirements. By installing a micrometer head in a custom fixture or other jig, nearly any imaginable precision measurement can be taken. 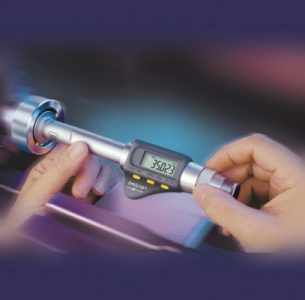 The digital micrometer is an integral part of modern manufacturing. From the mold making, tool-and-die, and aerospace industries to the automobile, medical and electronic industries, the various styles of digital micrometer are indispensable.